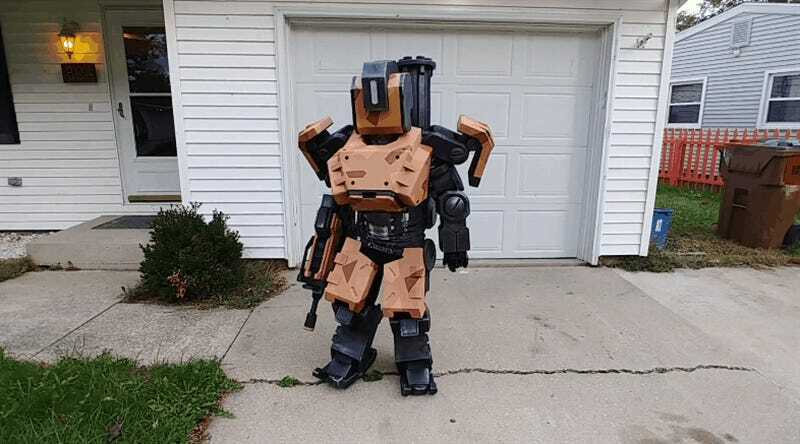 Jiovanie Velazquez’s 10 year-old son wanted a Bastion costume for Halloween, and since you can’t exactly walk into a store and buy one, he decided to make one for him. The suit was made of EVA Foam, had LED lighting in the helmet and also voice-activated lighting in the chest. Velazquez even went to the trouble of making an extra claw attachment for Bastion’s arm, because his kid’s school parade had a “no guns” policy. And yes, there was also a bird.